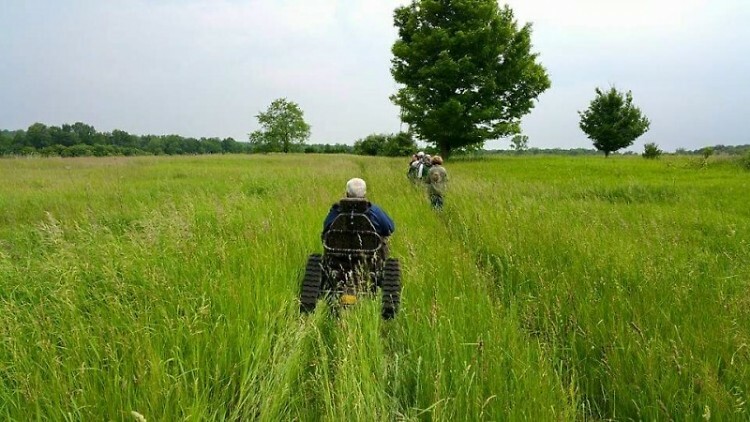 MiOFO was formed in 2013 to create top-notch outdoor activities accessible by individuals and veterans of all abilities, including those in wheelchairs or with prosthetics. Those activities include hunting, fishing, bird-watching, wildlife viewing and kayaking. Inside the blind, they wait. There’s a thermos of hot coffee and whispered talk about the deer that may come today. Anticipation builds with the coming dawn. And for a while, it’s like before. Before losing arms or legs. There’s a lot of veterans who have seen the worst that mankind has to offer, and people who got dealt a really bad set of cards so they can’t do the things they used to do. It’s my job – and my honor – to give them the chance to enjoy the outdoors again,” said Tom Jones of Michigan Operation Freedom Outdoors. 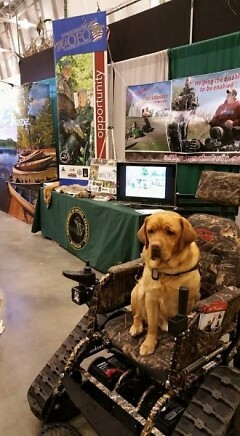 Now in its third year, MiOFO is a unique partnership between the Michigan Department of Natural Resources and a number of conservation clubs, veterans groups and organizations that advocate for those with disabilities. Its mission is to provide improved outdoor recreational opportunities for veterans and others with health challenges and to coordinate a support network that facilitates their recovery by connecting with nature. 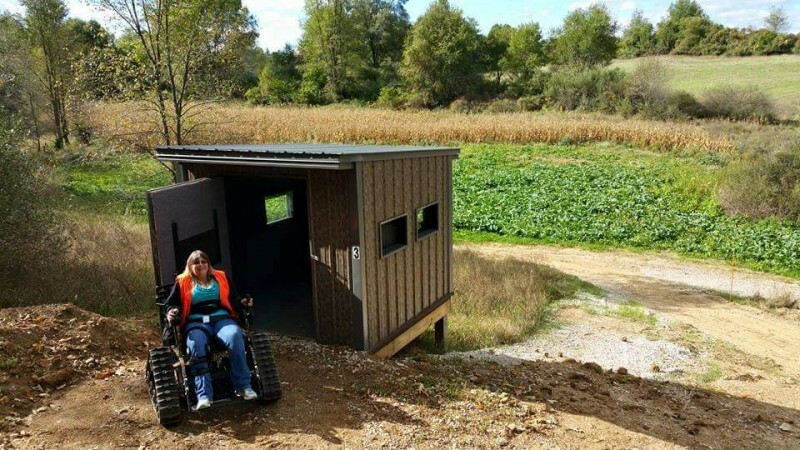 “We applaud MiOFO for making Michigan’s great outdoors accessible to everyone – but especially to our veterans,” said Matt Pedigo, of the Michigan Wildlife Council. The Michigan Wildlife Council recently launched a public education campaign highlighting the importance of managing the state’s natural resources so they’re here for generations to come. The program started with a collaboration between the DNR’s Sharonville State Game Area, located between Ann Arbor and Jackson, and the Eisenhower Center in Ann Arbor, which provides rehabilitation for traumatic brain injuries and other neurological disabilities. Now MiOFO has expanded across the state. Other MiOFO partners include Camp Liberty, the Brain Injury Association of Michigan, Passing Along the Heritage Foundation, Safari Club International Foundation, Michigan Building and Construction Trades Council, Michigan United Conservation Clubs, Disabled American Veterans, the American Legion and Zero-Day. Much of MiOFO’s success can be attributed to the hard work and tireless dedication of Jones, its program coordinator. The Eisenhower Center hired Jones in 2014 to operate the program. “It’s my job to advocate not only for veterans, but for the general public who may not have the ability to get outdoors,” said Jones, 35. It wasn’t until returning to Michigan in 2007 that he realized his debilitating vertigo, migraines and short-term memory loss resulted from his service injuries. He was also diagnosed with post-traumatic stress disorder. “Physically, if you look at me, I’m fine. But I wear prism lenses in my glasses because my eyes are sending a crooked message to my brain, and that causes really bad vertigo,” he said. Jones said his work with MiOFO has been healing for him, too. The group values the importance of creating a strong support network to help veterans in their recovery, while also allowing them to grow closer with nature. Jones said it’s his job to eliminate physical or logistical barriers stopping someone from enjoying the outdoors. That means coordinating with volunteers, DNR officials, veterans groups, businesses and other agencies. “We’ve done firearm hunting, crossbow hunting, wildlife viewing, ice fishing, regular fishing and bow fishing. We’ve even done yoga at the Crosswinds Marsh next to a bald eagle nest,” Jones said. One of the biggest obstacles to enjoying the outdoors is tough terrain. MiOFO has worked with the DNR in its ongoing quest to improve some public land so it’s more accessible for wildlife-related recreation. At the Sharonville State Game Area, there are now four permanent, accessible hunting blinds and seven pop-up blinds. Jones has access to a few tracked wheelchairs and borrows more as needed from Michigan Outdoor Mobility in Midland. Certified hunting guides – many of them veterans – volunteer their time to provide one-on-one assistance. David Miller, a 20-year veteran with the U.S. Marine Corps, said he volunteers with MiOFO to give back to those struggling to find a way to enjoy the Great Lakes State. Bissell and Jones said research shows connecting with nature can help physical and emotional healing. “When people are taken away from something that they’ve always included as part of their identity – like hunting or fishing or bird-watching – it can be very traumatic,” Bissell said. “But the enjoyment people get from early morning coffee at the barn and spending the morning outside when you can’t normally do that … getting to do that again is very rewarding and therapeutic. In 2016, hundreds of physically challenged people took part in the program across the state, Bissell said. But you don’t have to hunt to get MiOFO’s help. “If they want to just bird-watch or go canoeing or whatever it is they want to do, that’s great. We just want everyone to capitalize on the therapeutic nature of being outside,” Mason said. Jones said he’s lucky to have come home in one piece after serving two tours in Iraq. Others were not so fortunate. So he takes it upon himself to recreate before.